Credit Cards: American Express or Discover: Which One is Right for You? Will 0% Credit Cards Make a Comeback? What’s Next For Small Business Credit Cards? American Express or Discover: Which One is Right for You? Summary: American Express and Discover have some of the best consumer cards out there now, but choosing which company to go with can be difficult. By gathering information about each company, it will help you make the right choice for you and your family. Making the decision to get a credit card should not be taken lightly. You need to be sure that you are in a place financially to meet the obligations of the card should you be approved. In addition, you also need to decide the type of borrower you are to determine which card will work best for you. Both American Express (also known as AmEx) and Discover offer rewards cards, but if you are not able to pay your balances in full each month your cash back rewards could be negated. Once you determine the type of borrower you’ll be and what you are looking for in a credit card/company, the fun part begins-applying for the card, (hopefully) being approved, and using it to reap the rewards. 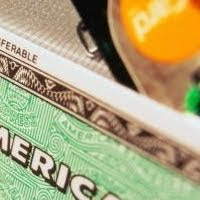 American Express: All in Favor? Great cash back rewards. On some AmEx cards you can earn up to five percent cash back on your purchases. You should read the fine print of the card(s) you are interested in to be sure of its terms. No preset spending limit. As an AmEx cardholder, you will be able to breathe easier knowing your card will not be declined in the event you go over your limit. In addition, your superior credit rating coupled with the length of time you are an AmEx customer will give your account even more flexibility in the future. Exceptional customer service and complimentary concierge services. Ranked best in customer service for three years running, you’ll have the peace of mind knowing that if a problem does arise it will be taken care of swiftly. Moreover, the added bonus of having a complimentary concierge to help make important arrangements will help make anything you need to plan a breeze. Higher annual fees. Although it can be said that AmEx has many great cards out there with no annual fees, the fees on the cards that carry them can be substantial. It is important to look at the benefits of each card versus any fees that come with them. That way any potential rewards will not be negated by the annual fee to be paid. Not widely accepted. AmEx, although it has generally been viewed as an exclusive card, is still not as widely accepted as other credit cards. This comes from the higher fee they charge merchants who accept the cards. Having an AmEx card may make you feel good, but you may need to have a back-up card for when AmEx is not accepted. Know Your Repayment terms. When looking for an AmEx card, you should take careful note of the repayment plans for the specific cards you are interested in. In the past, AmEx only issued charge cards in which the balances had to be paid in full each month. Nowadays, many of their cards still require the balance to be paid in full monthly, but they do offer cards that allow payments to be spread out over time. Knowing how you plan to use the card before applying will help avoid any surprises after your approval. Discover Cards: All in Favor? Fantastic cardholder perks. Being a Discover card holder gives you extra leverage when the unforeseen happens. Coming standard with the card are things like zero liability for fraudulent transactions, supplementary auto rental insurance, and travelers insurance. The terms for each of these varies, so be sure to check the fine print. ShopDiscover shopping portal. Being a Discover cardholder has its advantages, one of which is the ShopDiscover shopping portal. By shopping through this portal you can earn between 5%-20% cash back on purchases from your favorite stores, racking up your rewards very quickly. Lower interest rates. Some of the most popular Discover cards have a 0% APR for the first six months with as low as 11.9% APR thereafter based on your credit report. Most other card companies have a base rate of at least 14.9% which can really add up, especially if you carry a balance. Couple this with no annual fee and your rewards can add up fast. Not widely accepted. Like AmEx, Discover cards are still not accepted like Visa or Mastercards are. You should have a back-up card on you in the event Discover is not accepted. High cash advance rates. Pretty much all credit card companies charge insanely high rates for cash advances, and Discover is no exception. With a 19.99% fixed rate on all cash advances and a 3% transaction fee with a minimum $5 fee, this is a surefire way to lose money fast. Knowing the pros and cons for both card issuers is only half the battle. Knowing the type of borrower you’ll be as well as what type of card you are looking for (rewards card, etc) will help you make the right decision. In addition, you should be sure you understand the terms and conditions set for each card to avoid any “surprises.” Recognizing your wants and needs and comparing them to what each company has to offer will help you determine which card is right for you. Although both cards have their own benefits, my vote is going to Discover this round. Although it has very high cash advance rates, the cardholder perks make up for it by 110 percent. Furthermore, the shopping portal with its high cash back percentage is a big plus.